We supply an extensive range of customized stepping motors available with various gears and encoders. We bring tailored solutions to customers to meet their requirements and simplifying their processes. We have 2 types of stepping motors: Permanent magnet type and hybrid type. Permanent magnet are in a range of diameter from 3,4mm to 55mm with several available step angles. Hybrid motors start from NEMA08 up to NEMA34. 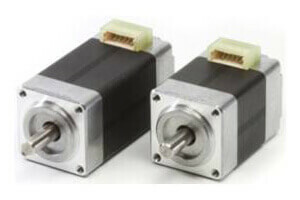 Both our stepper motor types are available as linear actuators. Applications include Automotive, Medical , HVAC, Mechatronics, industrial automation in general where an accurate and reliable positioning is a mandatory need.